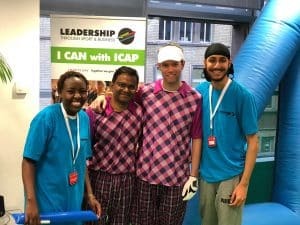 This year on Wednesday 5th December, Leadership Through Sport & Business was proud to be a part of the legendary annual ICAP Charity Day. Along with a selection of young people from the programme and an array of VIP guests, we joined the inter dealer brokers at their offices for one of the City’s biggest charity initiatives. 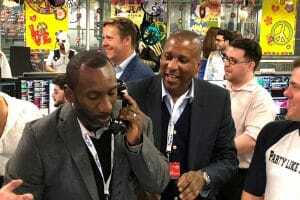 LTSB’s celebrity ambassadors – including football heroes Jimmy Floyd Hasselbaink, Alan Pardew and Viv Anderson, Love Island favourites Camilla and Jamie (#loveJamila), legend spin-bowler Monty Panesar and rugby’s Duncan Taylor and John Gallagher – were out in full force to go around the trading desks and get on the phones themselves to close deals worth millions, all to make more money for charity! On this day, 100% of the revenues and commissions ICAP generates globally is donated to approximately 100 charities worldwide. 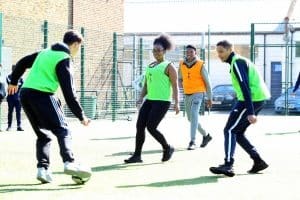 LTSB will receive funding for our ‘I CAN with ICAP’ project, which aims to transform the lives of 10 young people from disadvantaged backgrounds in North and East London, with delivery partners Tottenham Hotspur Foundation and West Ham Foundation. 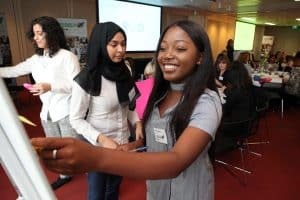 The young people we work with are bright, incredibly driven and capable of being the very best in their chosen profession, but they do not have the necessary social capital or workplace preparation that their more privileged peers have. Through our network of over 70 employers, we provide access to roles in business and finance with the UK’s top firms, along with the necessary support and guidance to fully prepare them for the working world. 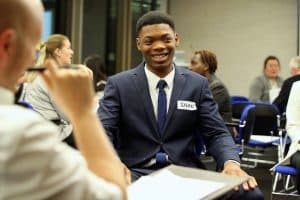 Our intensive pre-employment training focusses on delivering skills and knowledge to prepare them for work in major organisations, before we then introduce the young leaders to employers for interview. Throughout their work placement, LTSB will provide close support and an enrichment programme with guest speakers and skills-sessions to ensure every young leader transitions successfully into work, and ultimately is able to progress in their careers. 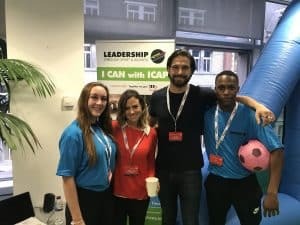 In addition to funding this project, ICAP is also putting forward a group of employees who will be mentors in our new Leadership Careers Club in the new year. They will be paired with one of our current young leaders and meet regularly to provide professional support and guidance as they start to make their mark in the workplace. 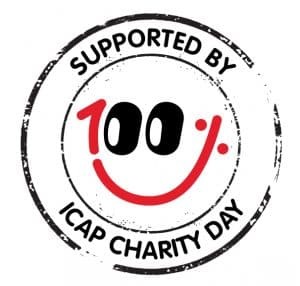 We are enormously grateful to ICAP for selecting us to be part of their 26th Charity Day, and we look forward to sharing the impact that this generous funding will have.